One of the prime goals of this cultural values blog is to defend my religion, Catholicism, against the regrettably frequent and unjust attacks we suffer, particularly in Madison, WI. And in Madison, the Wisconsin State Journal has provided more than it’s fair share of imbalanced reporting on Catholics, frequently fueling my blog. Why Pray the Rosary at Madison’s Capitol Square? 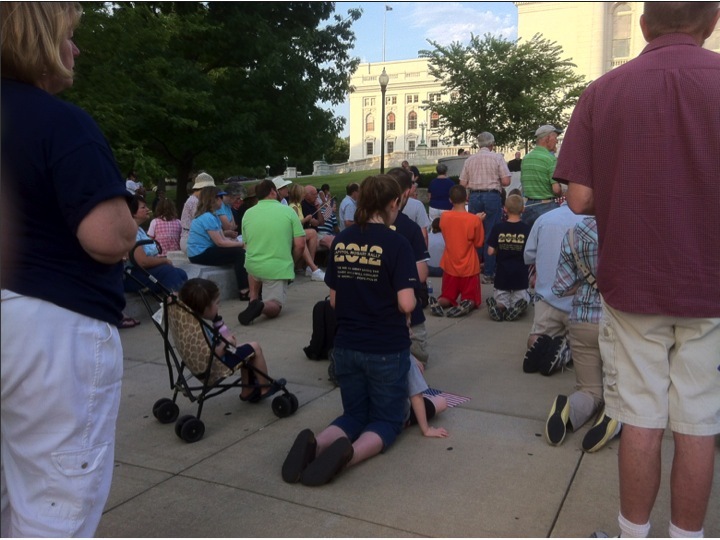 Now that the Obama administration has embarked on restricting the religious freedom of Catholics, Madison Catholics have begun praying the rosary on Thursday evenings on the Madison Capitol steps, to beg God’s help in the restoration of religious freedom to our nation. 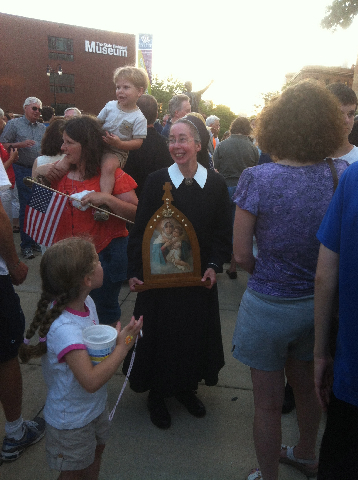 Madison’s Rosary Rally gatherings attract 150-300 quiet, polite people each week. The crowd includes families with small children, young singles, and many grandparents as well. The Catholics gather quietly after business hours, do not disrupt Capitol business, leave no litter behind, do no shouting, carry no vuvuzelas, whistles or drums, and don’t even carry signs. They come, they pray for our nation, and they leave quietly, leaving no damage in their wake. Who Heckles Children Praying the Rosary? About 3 to 10 ne’er-do-wells have started showing up at these rosary events, attempting to disrupt them. Their tactics include shouting four letter words from across the street, mocking the rosary, carrying rude signs mentioning private body parts, and all the usual aggressive radical left tactics Wisconsin has witnessed at recent teacher union protests, and at Madison Pro-Life rallies (which radicals have routinely tried to disrupt in recent years, and where they have even been known to get up in pulpits at Library Mall and perform strip-tease dances in front of children with literally only God knows what motivation). Is the Wisconsin State Journal Heckling the Rosary? So, Doug Erickson, the “religion” reporter for the Wisconsin State Journal (WSJ), instead of covering the story from the perspective of the hundreds of Catholics participating in the Capitol Rosary Rally who represent one quarter of America, covered the story instead from the perspective of the handful of rude hecklers. I have participated in many of the Rallies, and I can attest to the fact that Doug Erickson’s implication that Rosary Rallies are “pep-fests” could not be further from the truth. 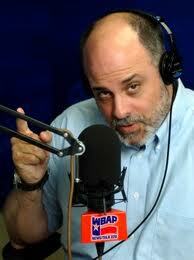 Mark Levin exposing Democrat propaganda (click photo for link to audio). 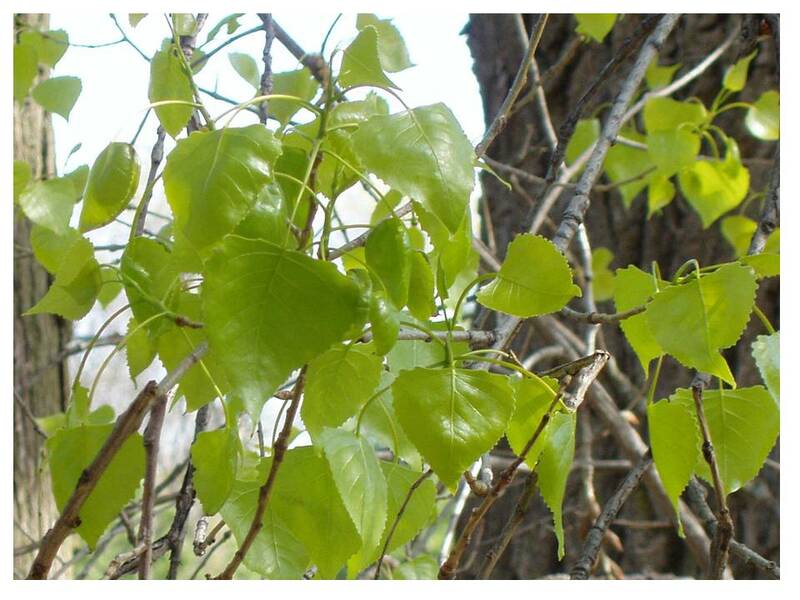 The Wisconsin State Journal’s misleading headline was amplified by a factor of 118,000 through its State-wide circulation, and the whole of Wisconsin was misinformed. Not to mention online readers, or readers of spin-off articles such as those at the LaCrosse Tribune, Yahoo News or the Orlando Sentinel. 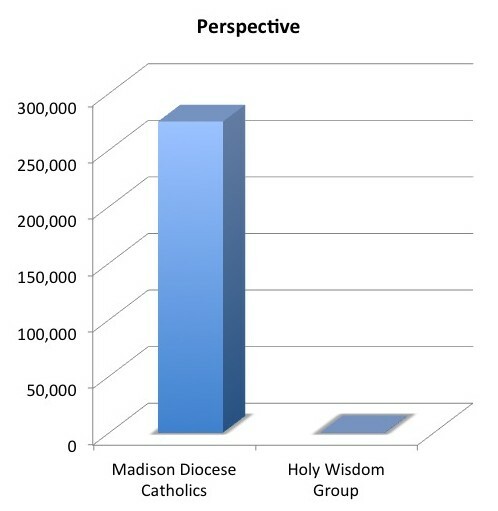 The Wisconsin State Journal gave voice to a handful of hecklers and dissidents rather than to hundreds of serious Catholics, who represent the beliefs of 25% of the American population and 25% of Madison’s population. 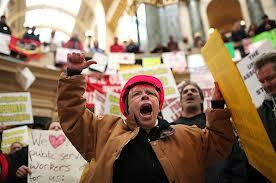 Who are These Hecklers Favored by the Wisconsin State Journal? One individual quoted in Doug Erickson’s article is Craig Spaulding, who presumed to know the motivations of the Catholics and declared the prayer rally to be partisan and to be GOP. Doug Erickson failed to mention who Craig Spaulding was — he did not mention that Craig Spaulding is a fringe radical Madison activist who was arrested (more than once) during the teacher’s union protests, who had to be carried out of the Senate gallery by ten officers for violating rules, and who is a member of the anarchist International Workers of the World, which favors “direct action,” in place of using democratic channels. Craig Spaulding is also involved with Occupy Wisconsin, participates regularly in the frequent Capitol lunch sing-a-long protests, and used to own the most troublesome drinking establishment on Capitol Square, which was famous for it’s “underwear parties.” It is not clear whether Craig Spaulding is a paid union protester . Craig is listed as a delinquent taxpayer owing over $33,000 in taxes. Another individual quoted by the WSJ article is one of the co-presidents of the Freedom From Religion Foundation (FFRF), Annie Laurie Gaylor, who personally protested at the Stand Up For Religious Freedom Rally last June 8th, and who made no objections while her husband and co-President of FFRF Dan Barker repeatedly heckled praying children and scandalized them by shouting sexually suggestive remarks addressed to the children. 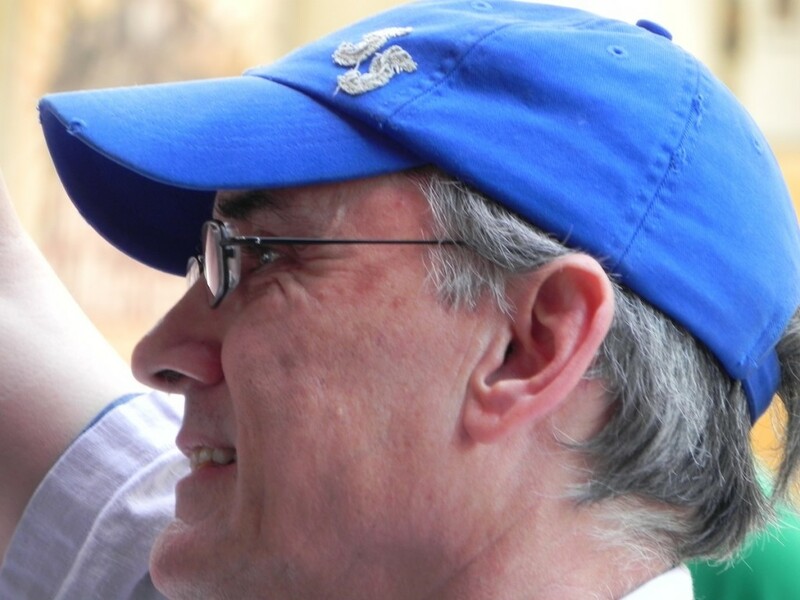 Dan Barker (FFRF) at Madison’s Freedom From Religion Rally; and what was Dan Barker doing? Shouting rude things at children. Annie Laurie Gaylor and FFRF are in a minority not only because they are atheists, but particularly because they are a miniscule minority among atheists themselves. They constitute only 0.1 of 1% of atheists, or one out of a thousand atheists. That’s right, 999 out of 1,000 atheists, unlike Gaylor and FFRF, are tolerant of 80% Christian America, of 25% Catholic America, and have no problem with our legally established American right to public prayer which President Obama periodically exercises. 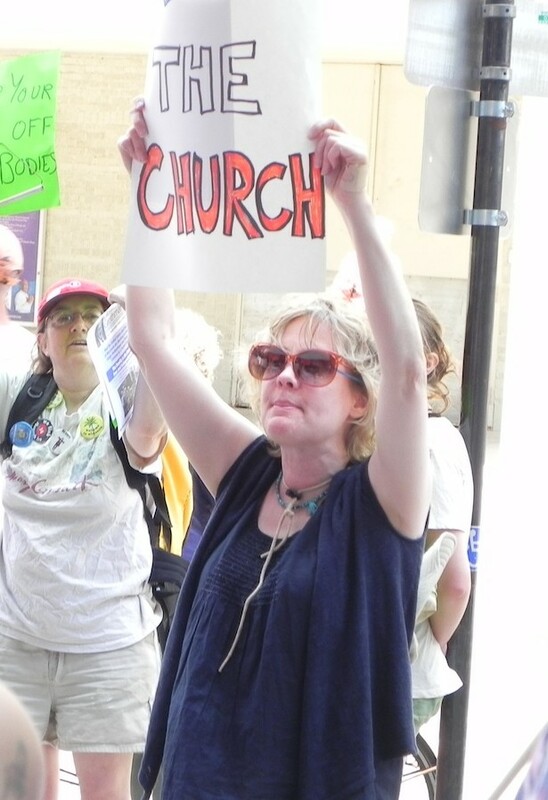 Gaylor and her FFRF, whom the Wisconsin State Journal chose to quote in this article, constitute the angry radical fringe, which represents only one out of 33 thousand people, or 0.003 of 1% of the population of America. Another Rosary heckler (not mentioned by the Wisconsin State Journal article) made herself known to me when her braggadocio arrived in my inbox, through an online discussion in which I had participated. She belatedly joined a discussion which I had previously viewed as a reasonable and constructive conversation with a Madison LGBT activist, and which started when I objected to the activist’s treatment of the first Capitol Rosary Rally and of Bishop Morlino on his blog. Aside: Since that time, the LGBT activist has begun censoring comments published on his blog, selecting supportive radical comments for publication, and declining to publish further discussion with me. I guess there are limits to the “Bluebird’s” willingness to discuss truth, after all, particularly when he and his friends start losing the argument. Turns out, he’s also a regular at the Lunchtime Solidarity Singers at the Capitol, who drive tour guides to wear ear protection. 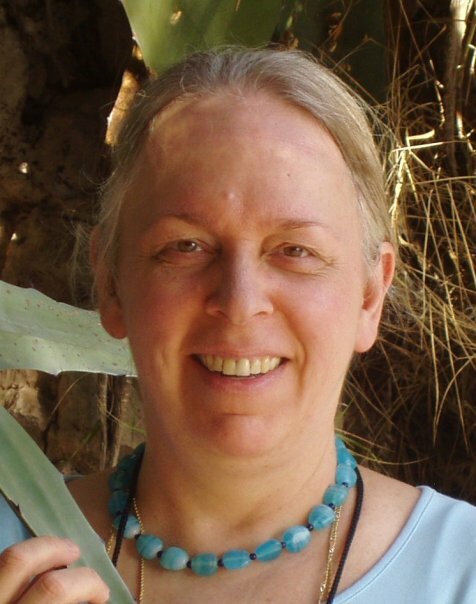 Back to the third Rosary heckler: her name is Genie Ogden. Genie bragged in the online discussion that she heckles the Rosary Rally weekly, boos, and sings “Solidarity Forever” at Catholics who are singing hymns. Genie, like Craig Spaulding, was also a regular member of the Capitol lunchtime “Sing-a-Longs,” the fringe minority who continues to make noise at the Madison Capitol at lunchtime, despite Governor Walker’s re-election by an even larger majority in Wisconsin than he enjoyed in his first election. Perhaps Genie is looking for new outlets for her anger, now that the recall is over. 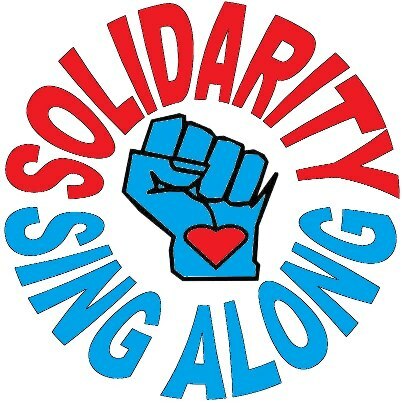 The You Tube of “Solidarity” protesters (to which Craig and Genie belonged, the noise of which drove people to wear ear protection) was presented above. Just over a week ago, Genie Ogden was arrested for demonstrating with signs without a permit at the State Capitol. She routinely protests with her daughter, who publicly approves lawlessness, such as the pouring of beer on conservative legislator’s heads, or throwing rotten fruit at them. Do these rosary hecklers/solidarity singers really believe that such actions would be persuasive and would bolster their cause? Genie, like Doug Spaulding and FFRF, tried to claim that the Rosary Rallies are political, and that they constitute a violation of separation of Church and State. What she does not seem to realize is that neither she, nor other liberals, can divine the thoughts of others, and that the mention of Governor Walker and of Paul Ryan once in the course of thirteen Rosary Rallies, in the context of being answers to prayers, reflects a pro-life, not a Republican position. Democrat Stupak and his 11 Democrat supporters were an equal blessing and an equal answer to prayer when they stood up for the exclusion of abortion from ObamaCare. 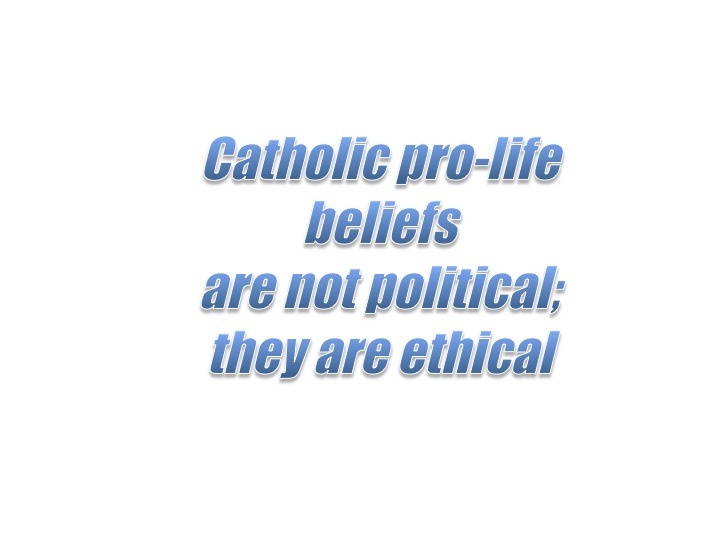 The pro-life beliefs of Catholics are not political; they are ethical. The Rosary Hecklers and critics above exhibit a bigoted and tyrannical attitude, denying to others the rights that the hecklers enjoy themselves. Solidarity union activists like Craig and Genie, and LGBT activists like the Bluebird, reserve the right to use Madison’s Capitol Square for themselves to promote their own (minority) views and social agendas, but they seem to miss the hypocrisy in denying the use of the Capitol Square to praying Christians, who represent many more people than they do- a fact ignored by WSJ reporters. 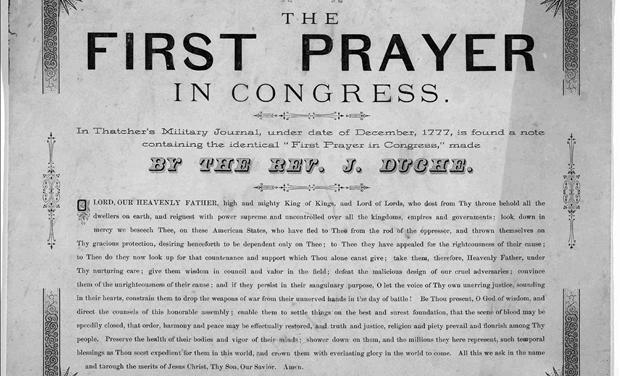 The right to public prayer has actually been constitutionally upheld numerous times. 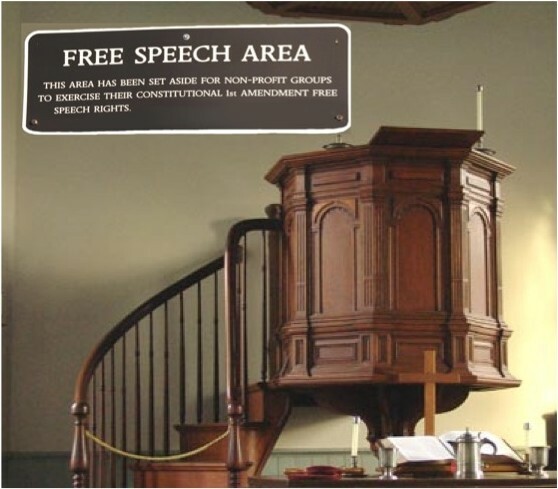 Yet the Freedom From Religion Foundation (FFRF) continues to attack public prayer wherever they think they can win, through legal intimidation of groups with small budgets, like the town of Marshfield, WI. also reflects a judgmental attitude; they claim to know the motivation of others. 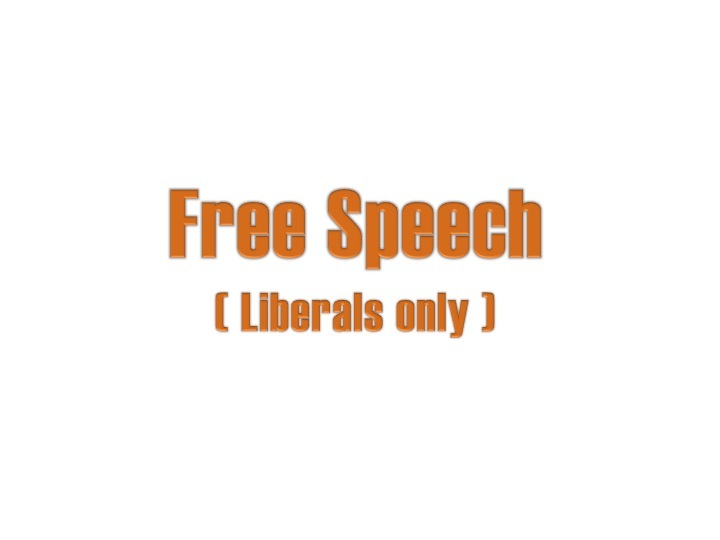 After misjudging their target’s motivation, many “progressives” continue by attacking and violating the rights of those with whom they disagree. The Constitution does not guarantee a Right to Hateful Harassment. Moreover, the effectiveness of such tactics in promoting one’s cause are highly dubious. I am proud to say that I have never gone to any Madison Capitol Square event to boo, heckle, curse, scream, disrupt or to counter-protest. I don’t engage in hateful behavior towards those with whom I disagree. Prayer is a much more civilized (and more productive) response. My sentiments are representative of those of Rosary Rally attendees. Doug Erickson missed the boat completely by covering the Rosary Rally story from the perspective of a few radical protesters, and by omitting the concerns of two thirds of America. The Rosary Rallies actually represent the majority of Wisconsin and of America. The Catholics at the Rally represent all religions in America, which were recently galvanized and united by the religious freedom violations of the HHS Mandate. Numerous religions joined Catholics in opposing these violations of the First Amendment, an amendment which all religions value. 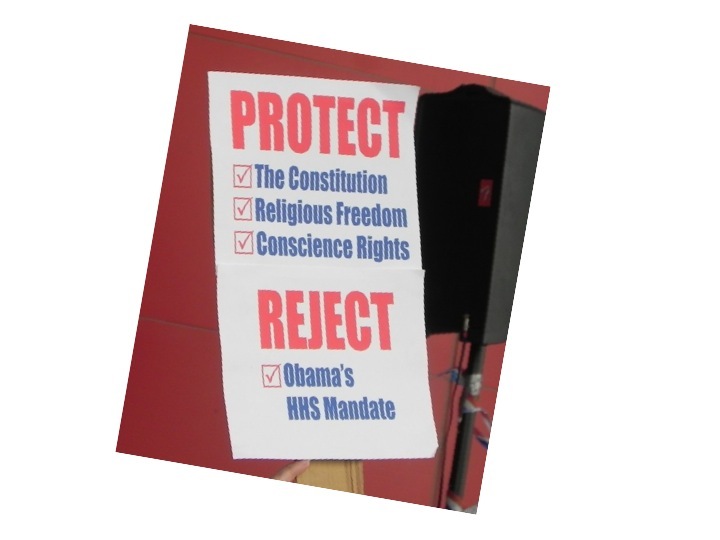 Orthodox Christian Bishops, Protestant Theological Seminary chancellors, Presbyterian Bishops, Southern Baptists, Lutherans Evangelical Lutherans and the Union of Orthodox Jewish Congregations of America have rallied to support the Catholic Church in upholding the Catholic position on the HHS mandate. This is what Doug Erickson has failed to cover in his reporting. The Rosary Rallies are large, peaceful, sustained, and they represent the reasonable Judeo-Christian views and the civilized demeanor of at least two thirds of America. 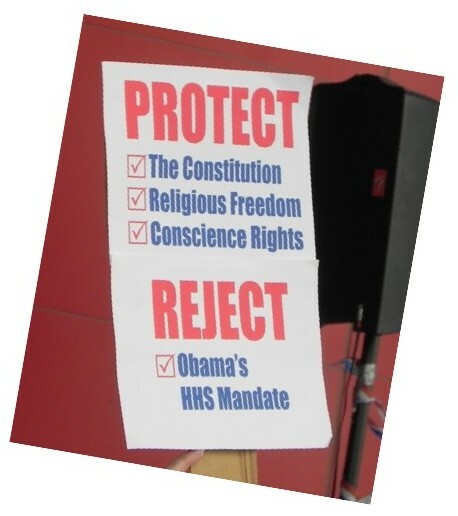 Two thirds of America supports the Catholic Church against the HHS Mandate’s violation of our religious freedoms. Two thirds of America opposes federal funding of abortion. 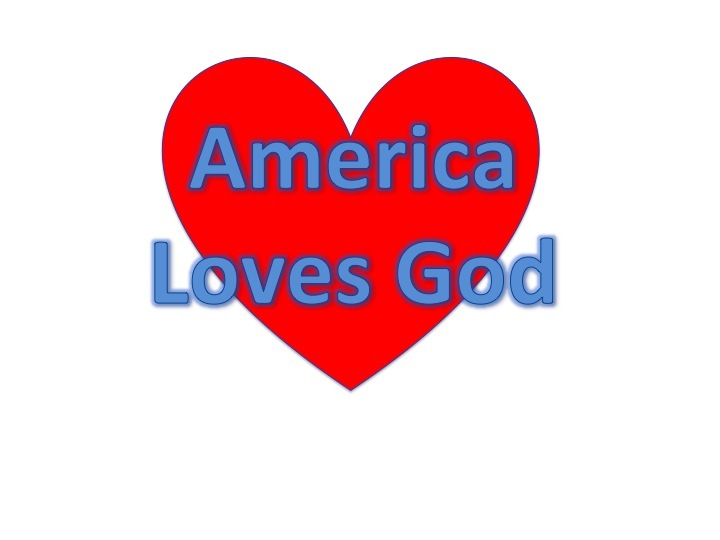 More than two thirds of America (80%) is Christian. More than two thirds of America (82%) prays regularly, 47% pray daily. More than two thirds of America (83%) say God answers prayers. Two Thirds of America supports prayer in public schools. 53% of Americans favor repeal of ObamaCare (43% opposed). 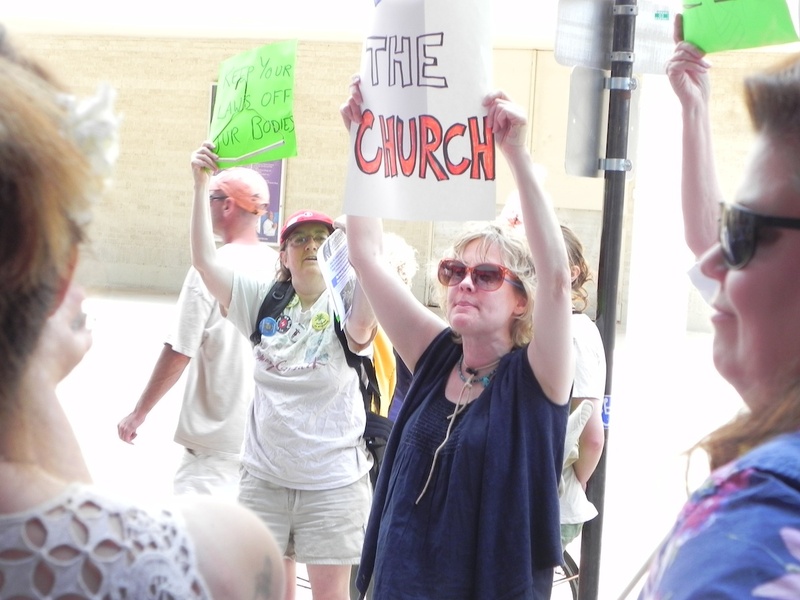 Numerous religions, including Baptists, Evangelicals and Jews, support the Catholic position in Stand Up for Religious Freedom, the program which gave birth to this Rosary Rally. In ignoring the perspective of Catholics at the Rosary Rally in favor of the perspective of a couple fringe radicals, Doug Erickson has ignored 2/3 of America. He has ignored the majority of America’s opposition to federally funded abortion policy, and he has ignored the social consequences of such abortion policy, which has already resulted in shocking coerced abortion rates of 64% . Abortion is a much bigger deal than most people think . The national Religious Liberty debate has been ignored by WSJ, in favor of reporting speculations by a couple of “progressives” on the motivations of Catholics at prayer. The Catholic Church is not the only group defending religious liberty in the wake of the HHS Mandate. Evangelical Christian pastors have just organized a bold and courageous protest against the muzzling of moral leaders in America, and in support of religious freedom. 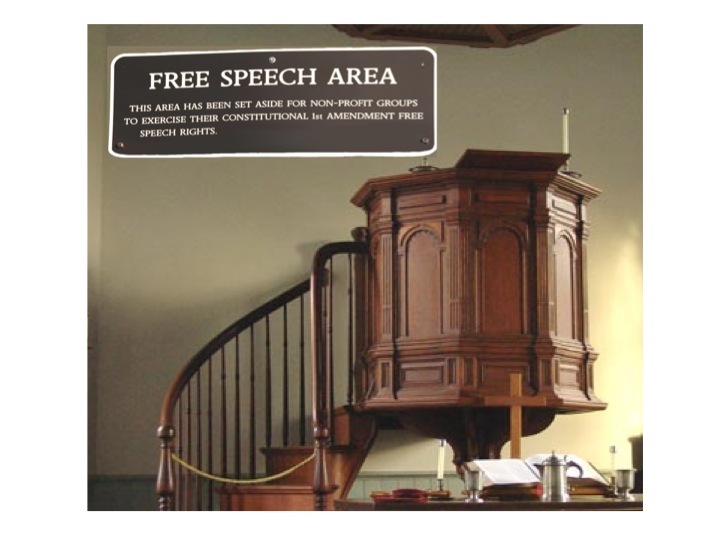 On October 7, 2012, “Pulpit Freedom Sunday” will be celebrated. More than 1,000 pastors will preach sermons from the pulpit talking about the candidates running for office and then making a specific recommendation. The sermons will be recorded and sent to the IRS. The pastors expect the IRS to try to enforce a 1954 IRS tax code amendment forbidding tax-exempt organizations from participating in discussion of candidates for public office. When the IRS tries to revoke tax-exempt status and to impose an excise tax on them, the pastors will welcome the court battle. 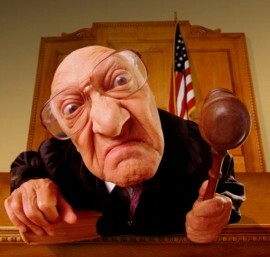 They claim that the 1954 IRS tax code amendment is blatantly unconstitutional, and they welcome an official evaluation of the amendment in court. 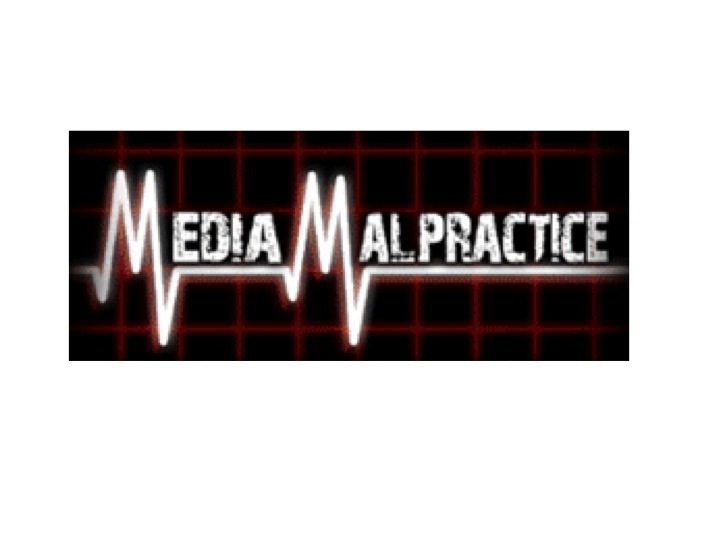 This effort is sponsored by the Alliance Defending Freedom, a legal ministry formed 18 years ago for the defense of religious freedom through strategy, training, funding and litigation. Slanted reporting in the Wisconsin State Journal is not new, nor surprising. Their coverage of the 2011 Teacher’s Union Protests was equally misleading and predisposed toward the “progressive” viewpoint. Lawlessness and misconduct was not reported, both on the part of demonstrators who trashed the Capitol, and on the part of Democrat officials who conspired to block the legal process. WSJ coverage was so slanted and misleading, that this blogger took to reporting what’s really happening in Wisconsin on my blog. The WSJ also gives the tiny Freedom From Religion Foundation quite a bit of favorable press. Again, a fringe radical group (0.003 of 1% of Americans) gets favored coverage over mainstream Wisconsin. Coverage of Catholicism in the WSJ has frequently been unprofessionally imbalanced. Just this week, Doug Erickson did a “moral analysis” of the Catholic vote. He gave equal weight and space to dissident national co-chairman of Catholics for Obama, as he did to Bishop Morlino of Madison, who is a legitimate and accurate representative of the Catholic Church. 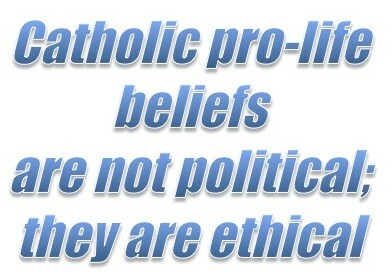 Catholics for Obama is a group established in 2007, with a website hosted at www.barackobama.com . Membership numbers are not provided, but are probably a few thousand or less, based on petition signatures quoted at Catholic Democrat. 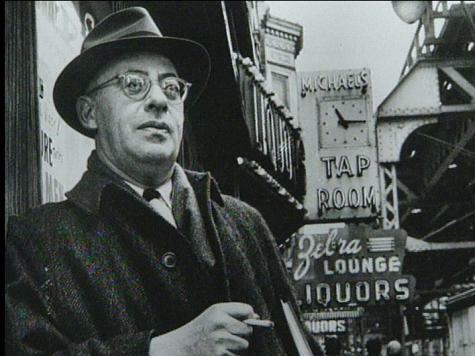 According to Breitbart.com, Catholics for Obama is dominated by the radical left wing, which promotes Alinsky “social justice” ideology. WSJ also recently inflamed a parish conflict with imbalanced reporting, favoring dissidents over the Catholic majority. The dissident minority was portrayed in a favorable light over the faithful majority. Another Doug Erickson report focused on pair of previously Catholic nuns at Holy Wisdom Monastery, who appear to be recruiting Catholics to join their feminist Sunday services in place of attending the Mass. These nuns retain the name Benedictines, despite having rescinded their Benedictine vows and having separated themselves from the Catholic Church. Doug Erickson reported on this fringe minority group of two very favorably, but relegated input from real Catholics, including from the Diocese of Madison, to a last paragraph entitled “detractors,” where he quoted Catholics minimally, and out of context. A minority of two dissidents was portrayed in a favored light, while real Catholics were again downplayed. The misrepresentation of Catholics in the Wisconsin State Journal could fill numerous blog posts (and has in the past), but the above three examples will suffice here. 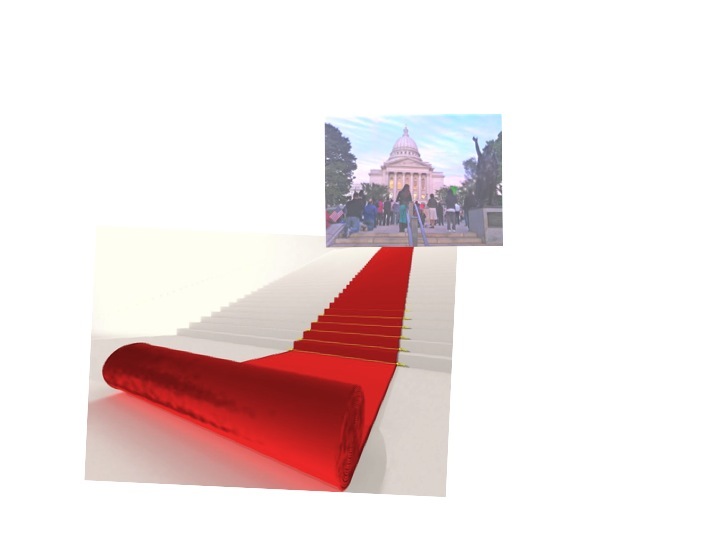 Come join Catholics in the 14th Capitol Rosary Rally tonight, Thursday, Sept 20, 2012, at the State Street steps of the Madison Capitol at 7 PM. Come watch what real Americans do (they act civilized and pray), stand in solidarity with Christians for religious freedom in America. All are welcome to watch, to listen, or to pray. 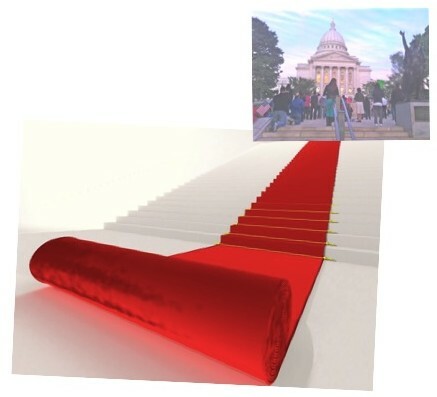 Something else Doug Erickson failed to do in his Capitol Rosary article was to discuss the question that his progressive friends raised; is it legal for Catholics to pray the rosary at Madison’s Capitol Square? 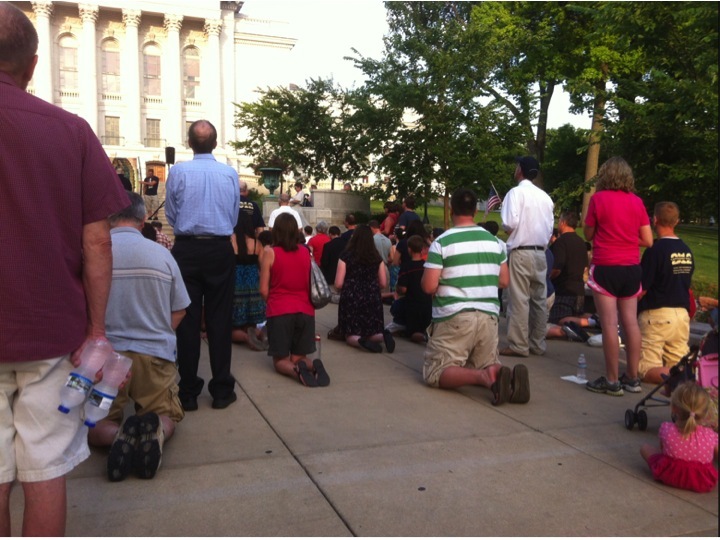 So public prayer is legal, and public gatherings at the Wisconsin State Capitol are legal. Public gatherings at Madison’s Capitol have included Farmer’s Markets, restaurant showcase events (Taste of Madison), and Wisconsin Capitol Pride, an event promoting LGBTQA acceptance and rights. Why would Catholic gatherings be forbidden? Why would promoting prayer for religious freedom be forbidden? WSJ failed to address this double standard of progressive Rosary critics in the article. 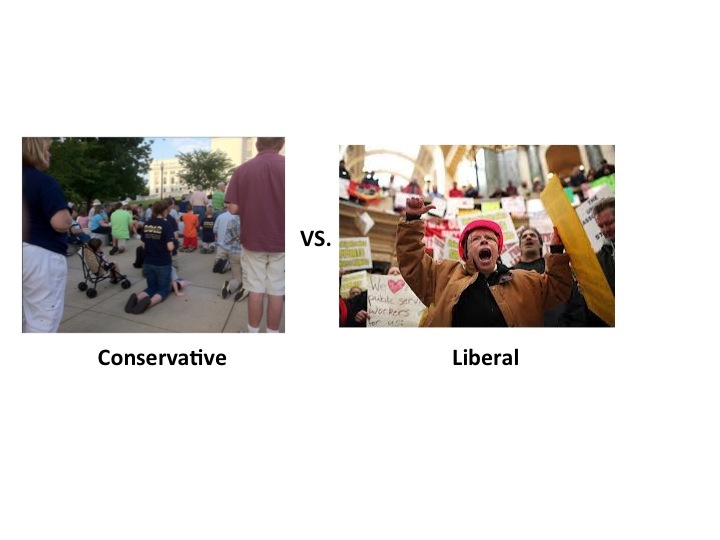 Reporting the obvious differences in behavior, lawfulness and respect for the rights of others between the rosary participants and the heckling critics. Discussion of the very pertinent 1954 IRS code amendment, which has been used by the IRS to silence Christian pastors, but has not been subject to an examination of constitutionality by the courts. The effect that restrictions on religious freedom would have on the rights of progressives when in the future conservative Presidents are elected, and the effect on this country’s historical role as the safe haven for the world’s émigrés. Suggestion: if Doug Erickson is to be the WSJ “religion” reporter, he must examine the serious issues affecting religion, rather than using his status at the WSJ to spread progressive propaganda. He should provide some professional and journalisticly ethical analysis of real religious issues. The Wisconsin State Journal has violated the Society of Professional Journalists Code of Ethics with this misrepresentation of Madison’s Capitol Rosary Rally. WSJ did not seek the truth and report it. WSJ did not minimize harm. WSJ did not act independently. Invitation: Come and Join Us! Come tonight, and every Thursday night at 7PM through November 1st. Join Catholics today in the 14th Capitol Rosary Rally – Thursday, Sept 20, 2012, on the State Street steps of the Madison Capitol at 7 PM. Come watch what most Americans do (they act civilized and they pray). Stand in solidarity with Christians for religious freedom in America. All are welcome to watch, to listen, or to pray. All welcome, including any not mentioned above. Invitation limited to well-behaved people who respect the rights of others. All of us need, and will benefit from, freedom of religion (of belief), which is guaranteed to us by the First Amendment. 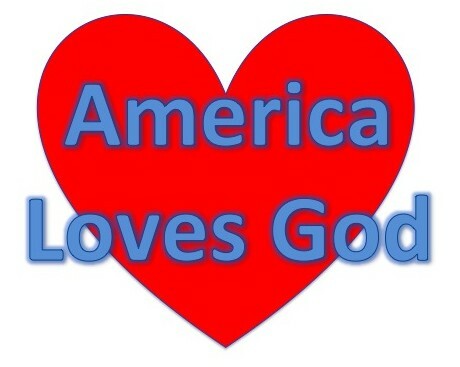 This freedom has been violated by President Obama’s HHS Mandate, a mandate which must be reversed. If Presidents of the future will be permitted to issue mandates like the HHS Mandate, without popular vote, without Senate or House vote, and without Supreme Court evaluation, what mandate will the NEXT President of the United States, who may not belong to your favorite political affiliation, decree? 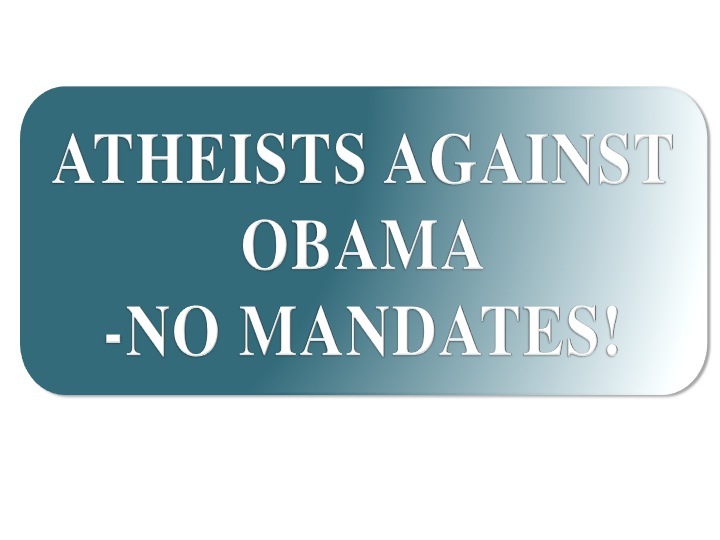 I may not like President Obama’s mandates. or President Michelle Bachmann’s mandates. The next President could issue a Mandate that imposes tax penalties not on Catholics, but on International Workers Union Members, FFRF Members, Solidarity Singers, and Madison LGBT activists- severe, crippling penalties. Then were would Craig, Annie, Genie and Bluebird be? The Mandate could include penalties for Wisconsin Sate Journal reporters, too, Doug. We all benefit from supporting freedom and democracy. We have to coexist, so progressives should realize that in 46 days the shoe might be on the other foot. This is still a democracy, and Presidential mandates are thinly disguised despotic edicts. These are some of the religious, ethical and cultural issues that Doug Erickson and the WSJ should be discussing, rather than spreading the speculations of fringe progressives on the motivation of Catholics.